Tel Aviv, Israel August 10, 2016 – RFOptic Ltd. was selected by the leading manufacturer of airborne platforms, leading C4ISR and defense company, to supply its cutting edge Optical Delay Line Systems. 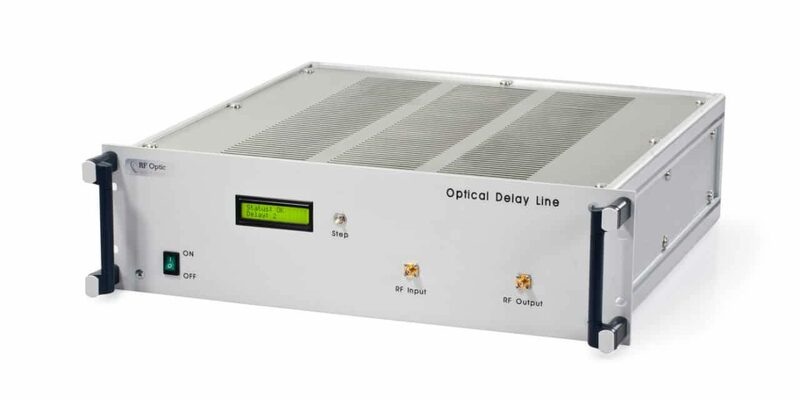 RFOptic’s Optical Delay Line systems (ODL) are generally used for transposing signals to distances ranging from a few meters to several tens of kilometers. The ODL system is an RF over Fiber solution with a defined delay line that is used in radar and microwave systems, e.g., for radar calibration. RFOptic’s ODL system can include several different delay lines, which are selected either manually or remotely by an external user interface. RFOptic offers five groups of ODL solutions operating at different frequency bands starting from 10 MHz up to 20 GHz. The RFOptic’s Optical Delay Line solution enables measurement of distances for radar calibration with unparalleled accuracy levels based on predefined ranges. “We quickly received the system and were able to use the new ODL. I am happy to say it has exceeded our expectations. I placed a variable attenuator in front of it and by adjusting the attenuation am able to generate multiple or single reflection rings”, our client stated. “These have proved very versatile in testing more aspects of the radar than we had originally planned”, the leading system integrator subject matter expert added. RFOptic and its United States distributor, Summit Communications Solutions, worked closely together to meet this client’s technical requirements. The client is one of Canada’s leading C4ISR and defense electronics companies, with a worldwide reputation for excellence in the production of technology-based, integrated solutions for land, airborne, maritime and public safety applications. As one of Canada’s largest and most established defense systems integrator, they are known to have the capacity to take on multi-year projects of strategic national significance, scope, scale, and deliver cost-effective, mission-critical systems.